For those of you who found the previous tutorial a bit too much to work with for your first time, we're going to draw an even simpler version of Nagi this time without all the bells and whistles. Furthermore, we're not going to be paying much attention to anatomy this time. Keep in mind that the goal of this exercise will be very simply, to be able to draw a passable version of Nagi that actually looks like the character. As such, we're going to go simple and strip down to the bare essentials of what the character should look like. 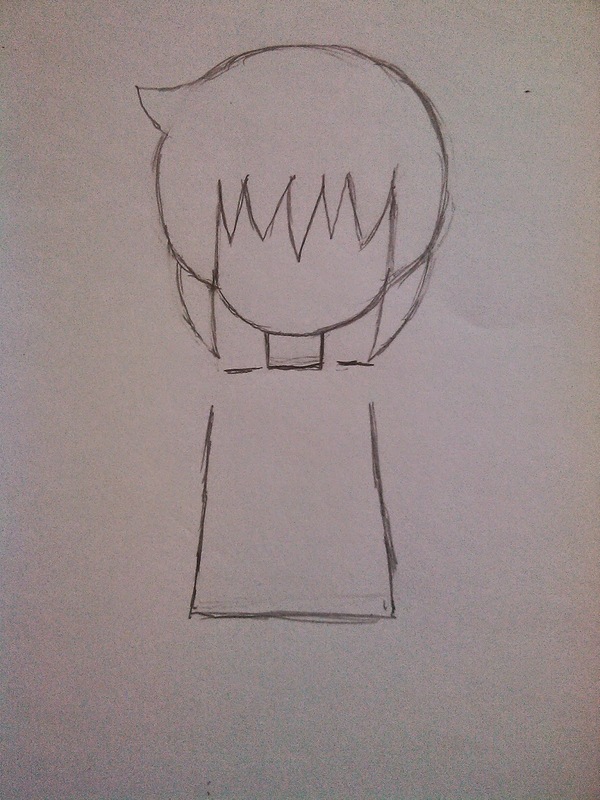 Drawing the head should be just like in the previous tutorial. 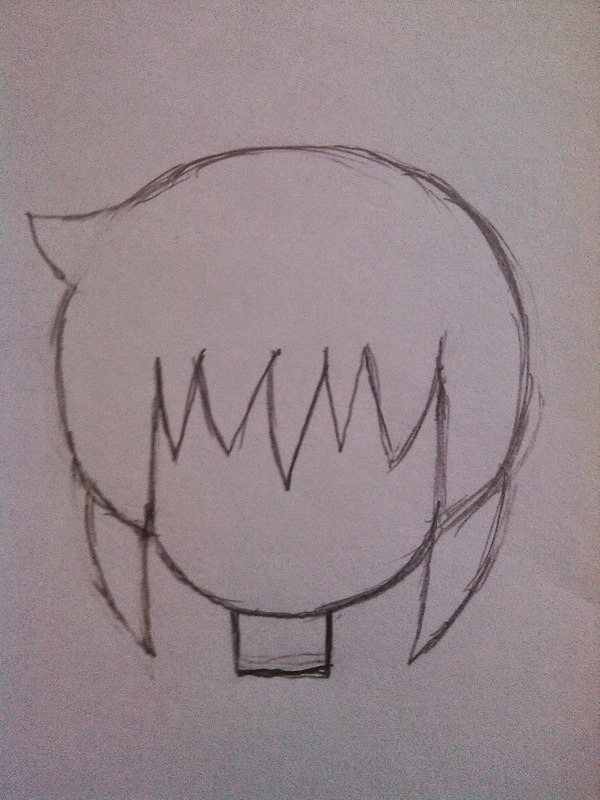 Begin by drawing a semi-circle, but leave a gap at the bottom-center for her head. Your drawing should look like this. 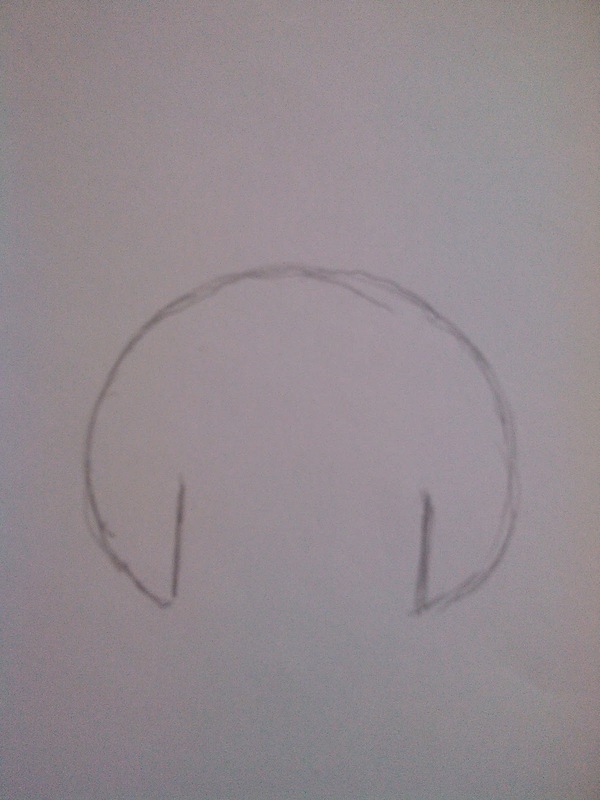 Since this is her hair, make sure that the top of the circle is nice and rounded. 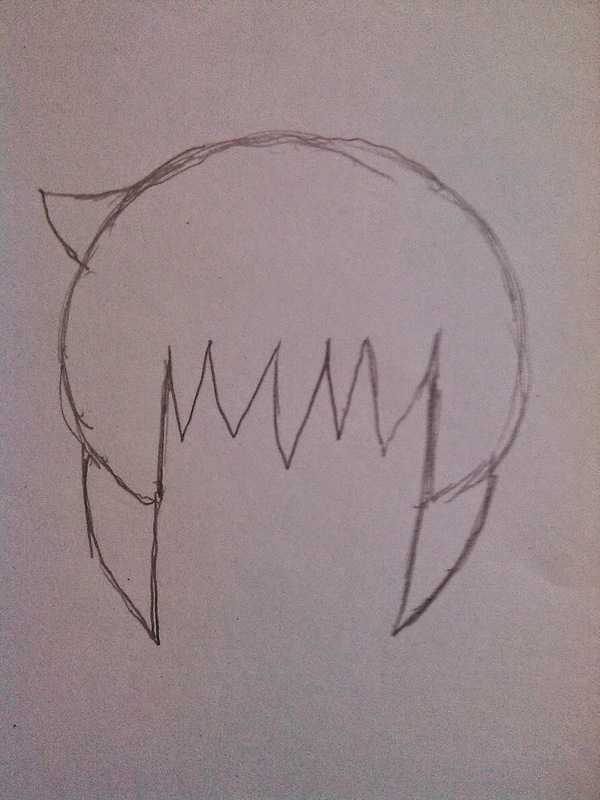 Now draw in her bangs and her ahoge as shown here. You can make adjustments and add/erase lines as you go on. Don't be afraid to erase and adjust very often. 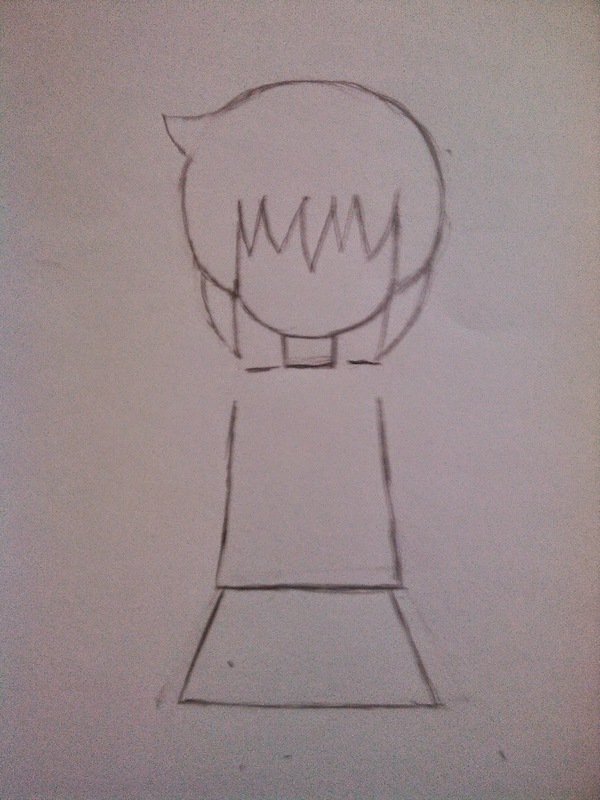 Now it's time to to draw in her extended hair fringes. Just try to keep both sides balanced, but don't be too concerned with perfection at this point. You can erase and adjust later as you see fit. At this point, it's time to draw in her jawline. This time, we're going with a rounded jawline since this pic is much simpler than the one in the previous tutorial. 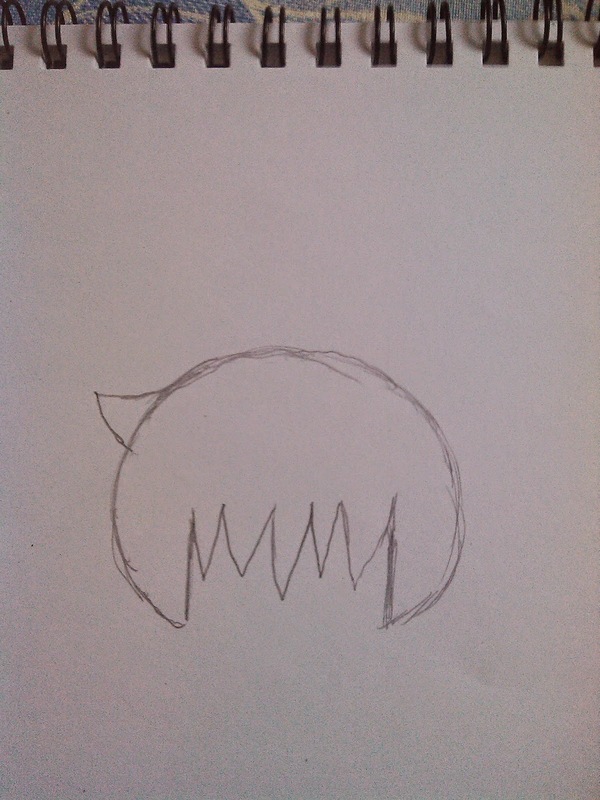 Start the jawline at the points where you started drawing the extended fringes. Make sure that the jawline doesn't extend beyond the furthest tip of the fringes as well. You should have something that looks like the image below. Take some time to erase/adjust as much as you want until you get it looking just right. Ok, we're done with her head and neck, we're now going to move directly to drawing her clothes. 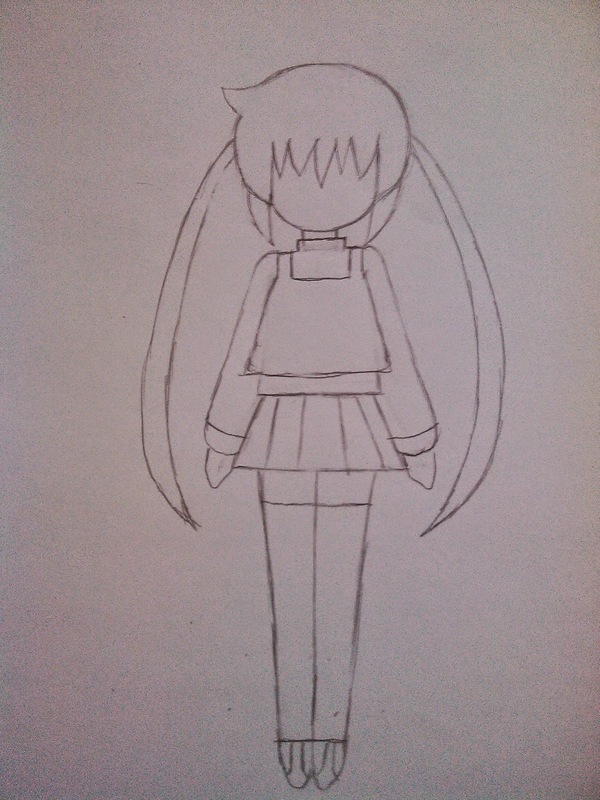 We're going to use another of Nagi's season 2 outfits for this drawing. 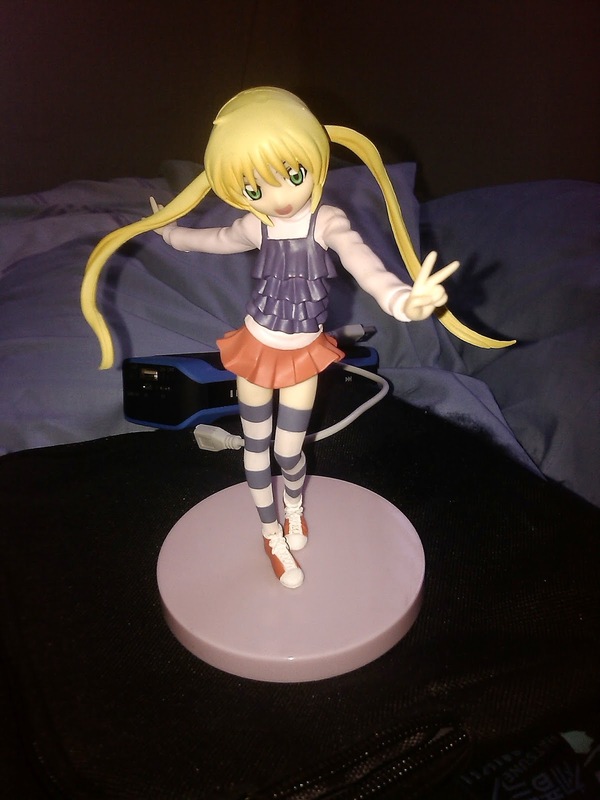 This one from my Sega Prize Figure. With this as our guide, start by drawing in her shirt. Don't worry about that ruffly thing she's wearing for now. 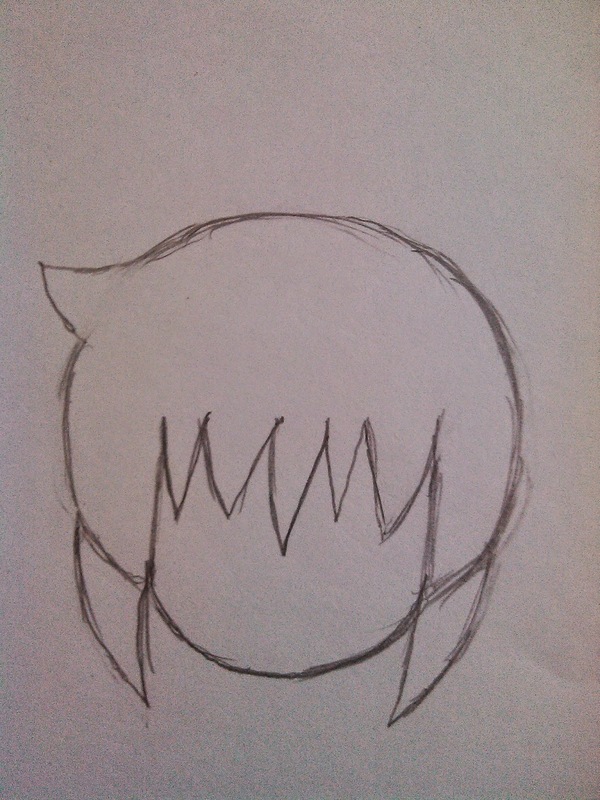 Just draw in a very basic square-ish shape like I've done here. Make it about 1.75 to 1.50 heads tall. Now draw in her skirt. It's very short pleated mini skirt that starts under her shirt, so keep that in mind and make sure that you angle the skirt away from her body. Now draw in her legs. Just draw a line down the center of the image and keep the legs together. Make sure that they are just a little bit longer than her body and make the shoes/feet taper towards the center. As you can see, her legs are angled towards the center line. Again, make sure to check the entire image and ensure that you are drawing it like in my example. If your drawing doesn't look like my sketch so far, then go back and check out what you did wrong and fix it. This is why using light, fast strokes is useful. After that, draw in her sleeves. For the sleeves, make sure that they end just above where her skirt ends and draw in some spade-like shapes for her hands. 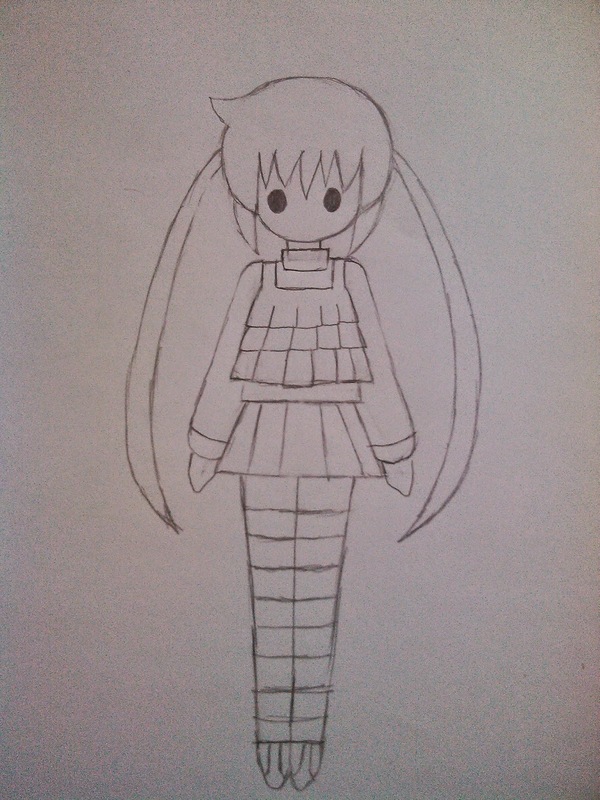 Next up, draw in her twin-tails. 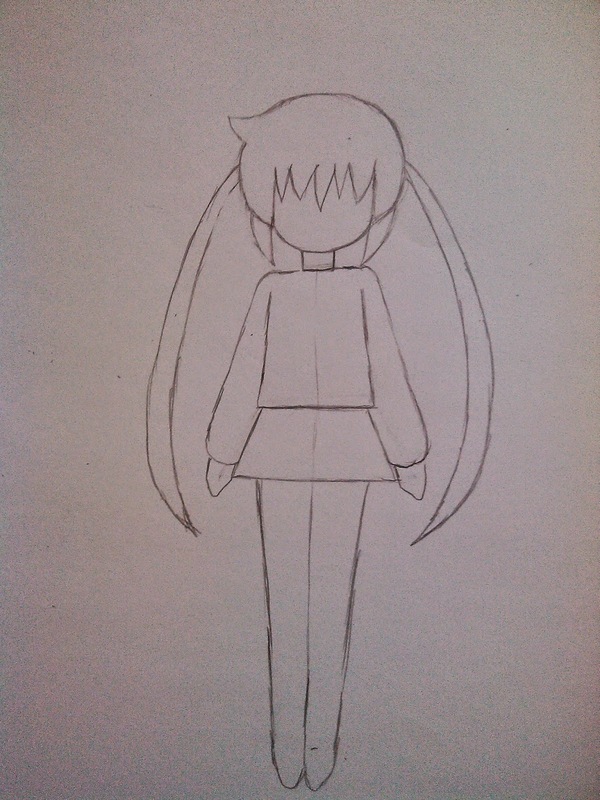 Take note of the size and shape of the twin-tails as well as where they begin/end. 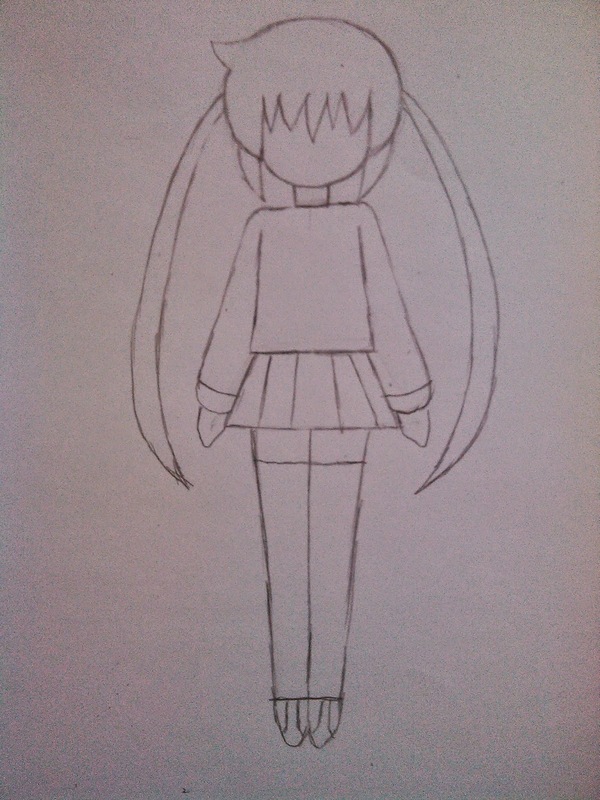 The twin-tails should at least thigh-level. Now we're ready to add some minor details. 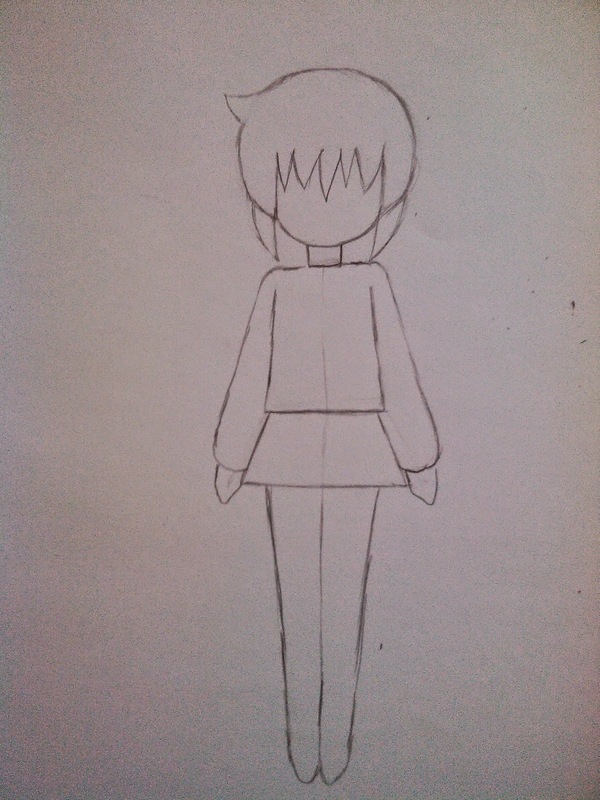 Just draw in some lines for the pleats of her skirt, the cuffs of her sleeves and some lines for her shoes. Ok, now for the slightly tricky part. Draw in that ruffly thing she's wearing over her shirt, but just draw in the basic shape of the thing first. 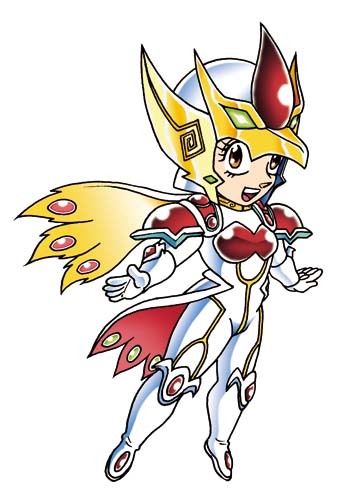 At this point, you should also draw in her cuff covering part of her neck. Make sure to erase and adjust as you do this until you get it looking just right. Now draw in the details for the ruffly thing. Don't be too fancy. Stick to simple lines and remember to adjust and erase as you do this while thinking of the over-all look of the image. 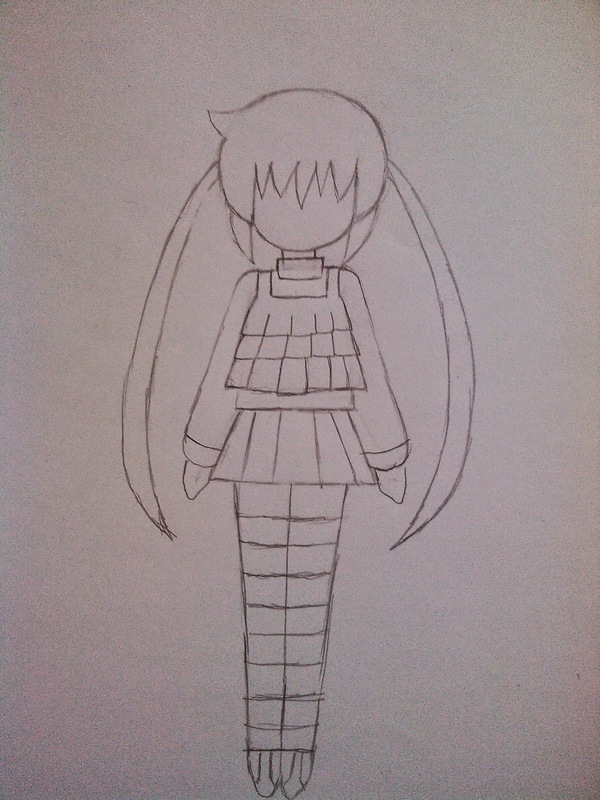 Also, add in some lines as stripes for her thigh highs. With that done, it's time to draw in her eyes. 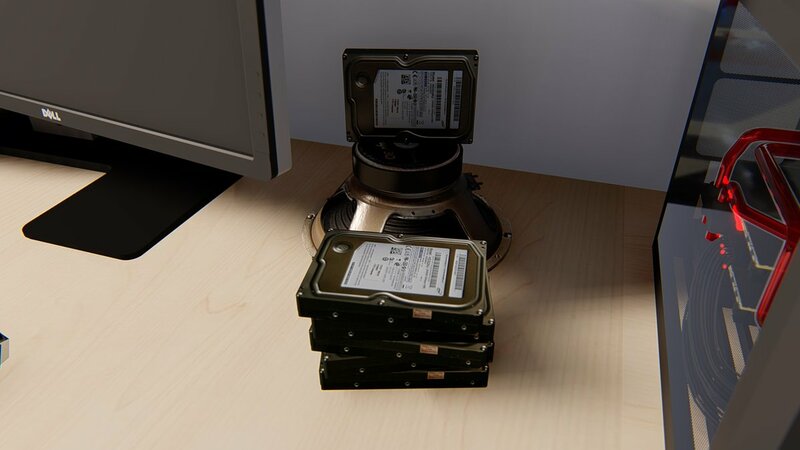 We're not going fancy this time. Just draw in two oval shapes for her eyes. Make sure that they are at least one eye length away from the sides of her fringes. Don't put them in too close together. Again, adjust and erase until you get it just right. 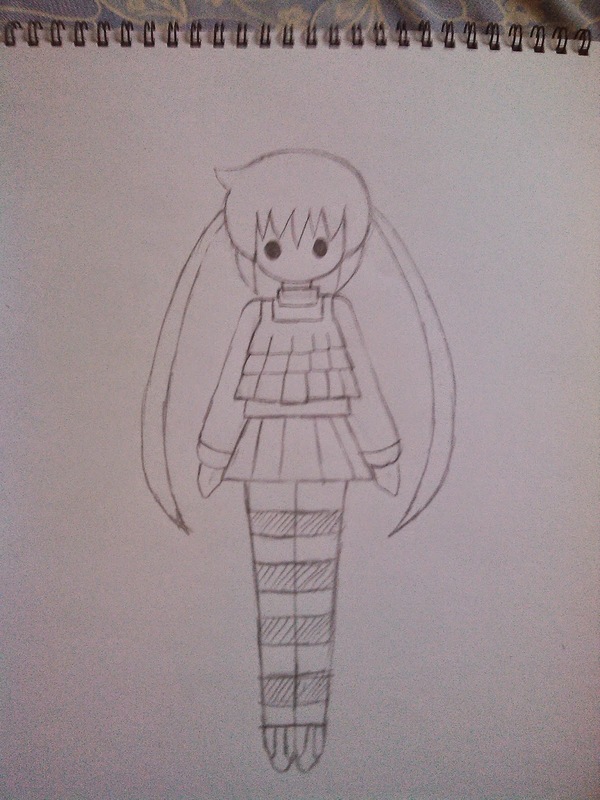 At this point, you can shade in the stripes for her thigh-highs if you feel like it. Now we're almost done. 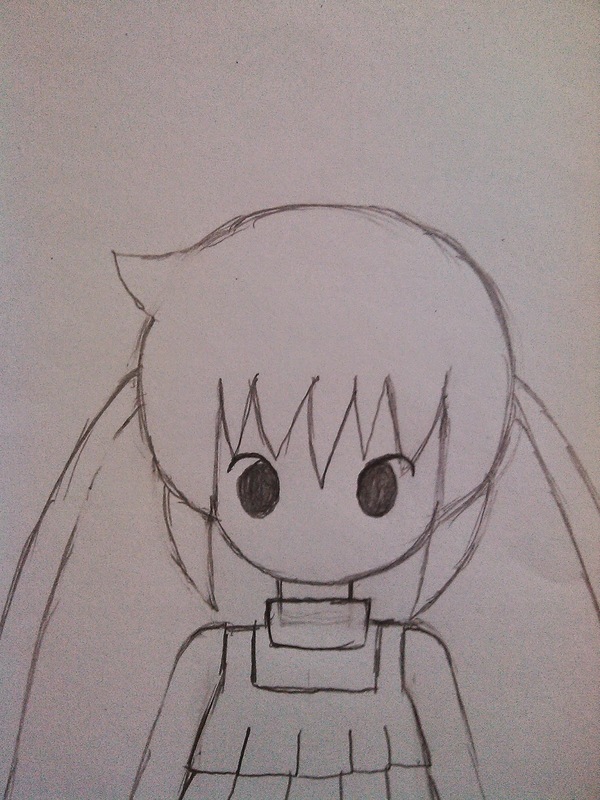 Just add some definition to Nagi's eyes by adding some curved lines so that her eyes look like tilted commas. Ok, now it's time to add in her eyebrows and mouth. I made her look grumpy by giving her sharply angled eyebrows and a reverse V for a mouth -- Hata-sensei seems to like that nowadays. 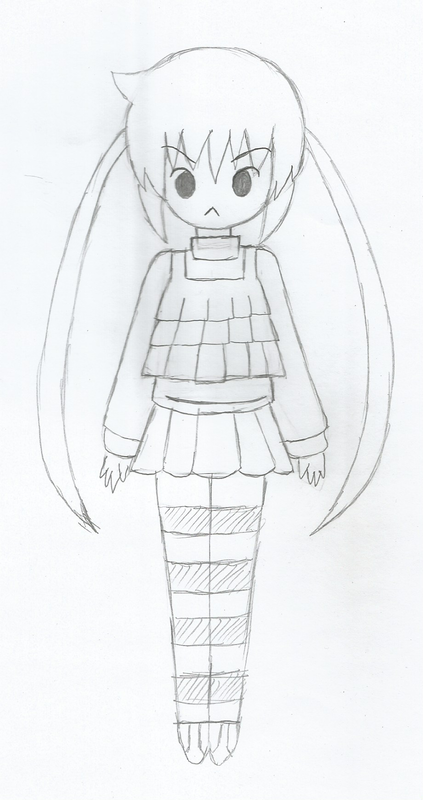 If you did everything as instructed, then you should have a pretty passable-looking Nagi drawing in front of you. Give yourself a pat on the back! You did it! I made a few minor adjustments to the details of the drawing before scanning it in. Here's what the scanned-in image looks like. How did you do? Feel free to share your results with me in the comments and I hope that was helpful and if anything, it got you interested in drawing.